Today, I have chatted with a number of friends who voted for Hillary around the country. Everyone I have talked to harbored a combination of disappointment and even fear, that frankly broke my heart. You see… I am also disappointed. I have not been particularly discreet about my political views leading up to this election. I went as far as to write an open letter in Spanish (which I submitted to a few Hispanic newspapers) about my reasons for my vote this election. The version of the letter that I posted here earned me numerous attacks on Twitter. But I felt proud to be able to speak up. I am heartbroken, because I remember in December 1998, when Hugo Chavez got elected in Venezuela, I had this same feeling… looking around me, and saying to myself “There’s no future! I am getting out of here”, not unlike the people that rushed to the Canadian Immigration website, crashing it last night while the results favoring Trump were pouring in. And I stuck to my plan: it took me over one year, but in January 2000 I came to this country. 3 years later, our son was born in American soil, and 14 years later, I became a citizen along with my wife. And yesterday I cast my first of many presidential votes to come. When I think back to what brought the country to where it is today, the one thing I can point back to is that not enough people voted. According to NPR, nearly half of adults registered to vote didn’t show up. It was the election with the lowest turnout since 2000, the previous most hotly contested election in American history. So if there’s a lesson to take with us, remember: do not ever take for granted this incredible right we have in the United States. There are countries where the liberty to choose is being taken away, and we still have it in the US. And if you don’t believe positive change is possible after yesterday, consider that on the same day, we passed a soda tax all over the Bay Area, and Sheriff Joe Arpaio (a 7-term sheriff from Maricopa County, Arizona, accused of targeting Latinos) was voted out…. and if you need a lighter view of things to make you smile and wipe the tears (I know many of you cried today), check out Ellen DeGeneres’ amazing post-election message. Yo vine con mi familia a los Estados Unidos el año 2000. Como tantos otros inmigrantes, salí de mi Venezuela natal buscando seguridad y estabilidad, dispuesto a contribuir en este gran país. Hace dos años mi esposa y yo nos hicimos ciudadanos de Estados Unidos, y una de las razones más importantes por las que lo hicimos fue para poder votar. A los 44 años, esta es mi primera elección presidencial en este país, y me siento orgulloso de contribuir con mi voto. Pero me siento obligado a apelar a otros inmigrantes como yo, para que no dejen de votar estas elecciones. Específicamente, quiero hablar de las razones por las que considero que Hillary Clinton es la persona ideal para liderizar el país los próximos cuatro años. Hillary representa una voz de inclusión y compasión, tan necesaria en estos turbios tiempos en que vivimos. Una voz que le habla de oportunidad y reconciliación a las minorías, a los inmigrantes, a las mujeres, y a todos los grupos que Donald Trump ha pisoteado e insultado a lo largo de su campaña. 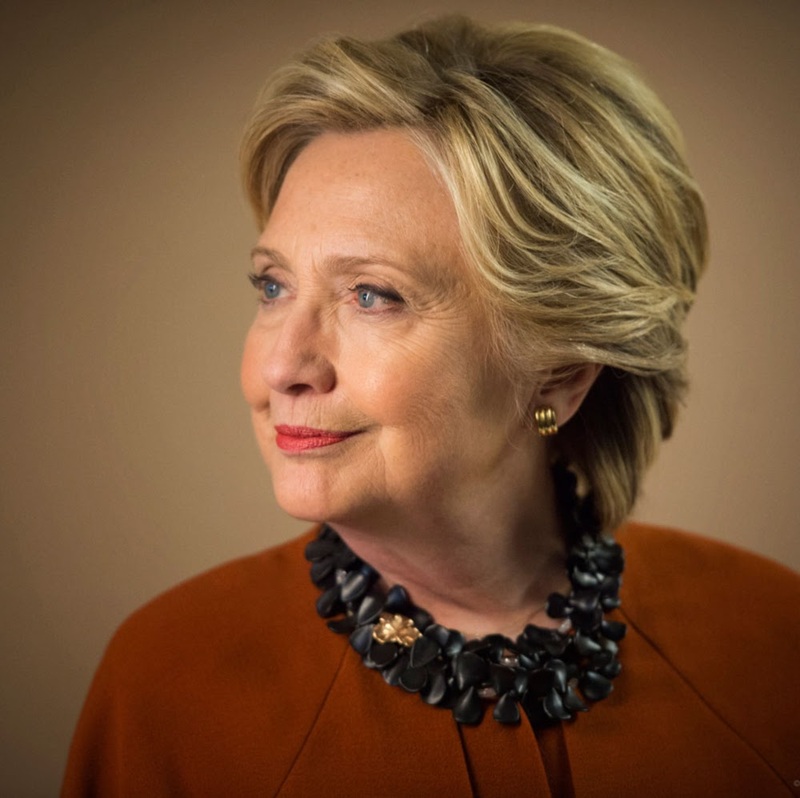 Hillary trae décadas de experiencia y liderazgo que necesitamos de frente al futuro que se avecina: años donde tendremos que hacer frente a nuevas realidades en un mundo cada vez más duro; años en que la habilidad de negociar y la habilidad de actuar decisivamente son críticas; años en que las actitudes que ha demostrado Trump son garantía de fracaso. Hillary defenderá y mejorará ObamaCare, ese programa que (si bien imperfecto), le dio acceso a un seguro de salud a millones de Americanos. Como alguien que fue diagnosticado con diabetes antes de ObamaCare (en el 2002), en un momento que no tenía seguro, entiendo de primera mano lo crítico que es este programa. Trump ha asegurado que eliminará ObamaCare. VOTA. Si no lo haces, otros decidirán por ti. How much longer can a columnist get away with xenophobic vitriol? Of course I am talking about Ann Coulter, and her hateful piece “Any growing interest in soccer a sign of nation’s moral decay“, which most likely she wrote in search of more publicity, feeding lies to the few people that still believe her. False. Last I checked, while soccer (like football, basketball, baseball) is a team sport, goals are scored by individuals. There are soccer superstars, both scoring goals and stopping them. False. You obviously hasn’t watched enough soccer games. Unfortunately, it can too cause a fair amount of injuries. This very graphic video shows some of the worst soccer injuries. But that is besides the point… We can see much of your nature in this comment: you would rather see more fights, broken bones, and blood in sports. Reminds me of… yes! Gladiators in the coliseum! PRECISELY! Creating a challenge makes the game all the more fascinating and adds a level of difficulty that other sports don’t have to tackle with. Worry not: we don’t expect you to like it… but it’s kind of hard to like or dislike something when you haven’t even fully tried to understand it. Here Coulter is showing her true colors, as a xenophobe. So, because it’s foreign it means we should dislike it? I guess she dislikes me, and 40 million other foreign-born Americans… because we too are foreign. I feel as much an American as Coulter. I was not born here, but I CHOSE to become a US citizen, and the path to accomplishing this was not easy or quick. It took us 14 years since we arrived in the US, in 2000. As a proud new soccer-loving US citizen whose native language is Spanish, @AnnCoulter, I’m glad your xenophobic vitriol speaks only 2 a few. Here you show how hateful and insecure you are. So, those who are not born here are not “American”? Those who don’t go back 4-5 generations are not “American”? Your arguments are so weak and so full of vitriol, that they are almost laughable. One cannot show such contempt and promote hatred indefinitely without eventually being held accountable for it.